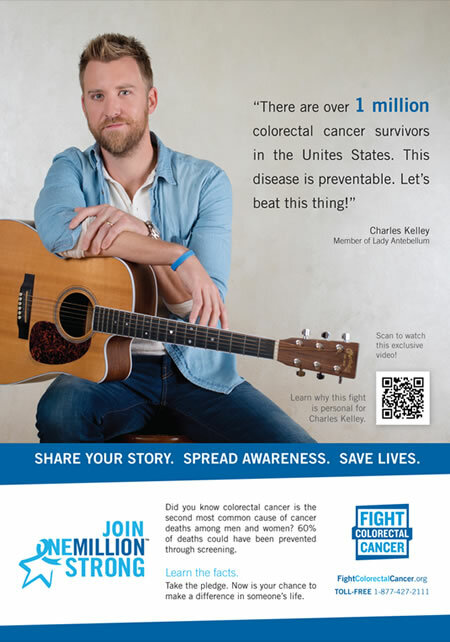 Fight Colorectal Cancer is a community of advocates. Researchers. Mothers. Fathers. Family members. Survivors. Dreamers. Fighters. Together, we are One Million Strong. 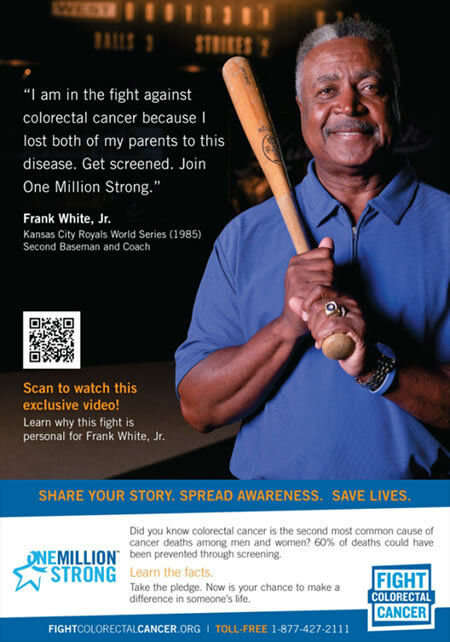 Our assignment was to raise social consciousness about colorectal cancer to increase screenings for this preventable cancer and saves lives. How did we do it? Go where the people are. Join their existing on-line community. Build partnerships. Listen to the people and allow their voices to be heard. We secured celebrity ambassadors like Peter “Kid Chocolate” Quillin, the WBO Middleweight Boxing Champion of the World; Charles Kelley of Country Music Group, Lady Antebellum; KC Royal World Series Champion/Hall of Famer Frank White; various players from the Tennessee Titans NFL team and many others professional athletes to appear in a series of PSA’s we developed that premiered at the signature kick-off event we produced in NYC on Times Sq. March 1st. 2013. Secured an appearance at NASDAQ opening ceremony, features on ESPN, Fox News, Good Morning America. PRWeek Exceptional Public Relations Campaign recognition. Nominations for Best Multicultural, Print, TV, and Digital Branded Campaign from the Multicultural National Health Conference.